Jazz Band is a broad term and London is a big town! 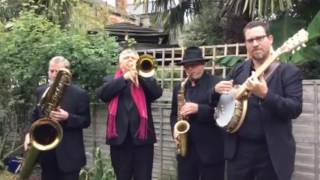 We supply a jazz band for hire in London that is more flexible in the styles of repertoire than most other London Jazz Bands. The band in question is the Mississippi Swamp Dogs. 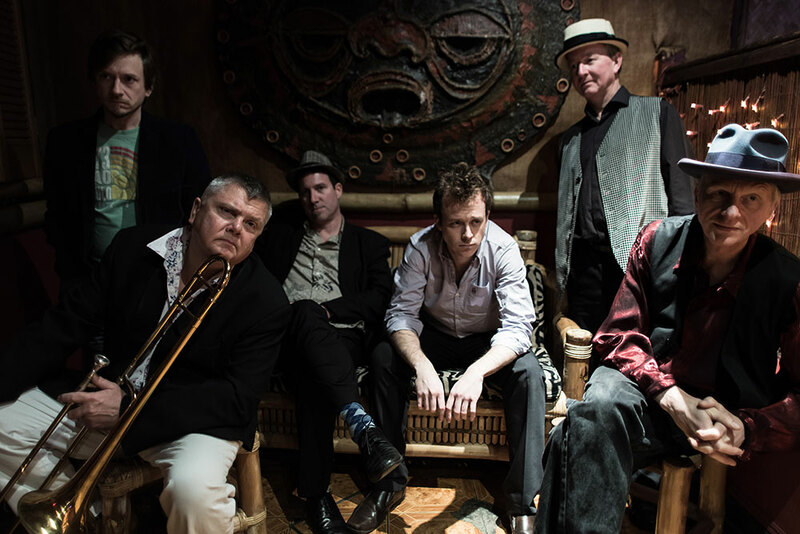 As Swamp Lounge they play swing music…more information on swing band hire here as Dan Darling and his Lovely Chaps they are a great 1920’s Prohibition, Speakeasy, Great Gatsby Band and as the Swamp Dogs they are a funky modern style New Orleans Jazz, Blues and Boogie Band . Call 020 8761 8932 or 07747 801471 for more information. 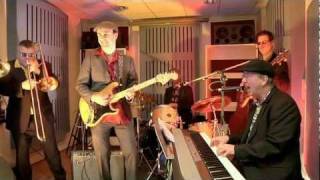 In this incarnation the band play an amazing mix of Jazz, Swing, Soul, Funk, Gospel, Cajun, Latin and even jazz flavoured Southern Rock! In all their different incarnations they have one thing in common. The same core musicians. Top London professional players with years of experience entertaining people in all manner of ways. Booking a live band can be an interesting experience! Lets discuss more in depth after these performance videos,what we can do for you. Without further ado check out our promo videos and see how flexible the Swamp Dogs are and how much variety the band offers. I’m sure you will agree, this band is supremely talented! London Jazz Band. 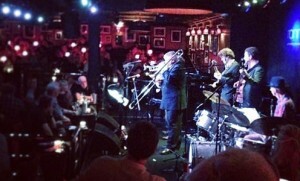 Ronnie Scott’s Sold Out! Jazz Band London. Vintage Jazz. Available as a jazz trio upwards. A great Vintage Jazz Band. If you like your jazz band old style, think Prohibition 1920’s Jazz, Speakeasy Jazz, Dixieland Jazz, New Orleans Jazz and Great Gatsby Jazz, then the Swamp Dogs, as their alter ego, Dan Darling and His Lovely Chaps, are the perfect band for a themed London night, a charity ball, a vintage club night, a speakeasy jazz dance, summer events in the London area like Henley, Wimbledon and Ascot and Thames River Cruises. The USP of the band is the ability to play unplugged as well as plugged. Want them in a field? Want them on the lawn for a garden party? Want them outside at a hotel for a wedding reception or for the evening wedding reception? This band can do this without electrical power. See them here in a video playing acoustically and live. Want something a little more swinging? 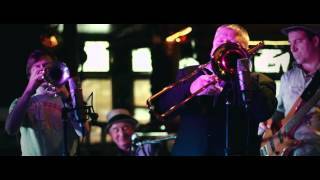 Maybe our London Swing Band is more to your liking. Having a Xmas party? Having a New Years Eve Jazz Band? Want to Hire a Jazz Band for it? We can help. 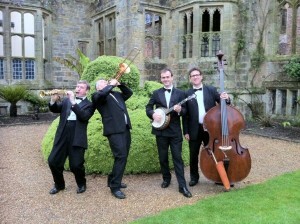 Tips on Xmas Jazz Band Hire here. Jazz Band London. the Shard on New Years Eve. 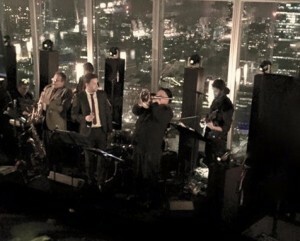 A fabulous London Party Band. Having a wedding or a birthday party in the London area? Having a summer ball or a company Xmas or New Years Eve party? Having an anniversary or a charity night? 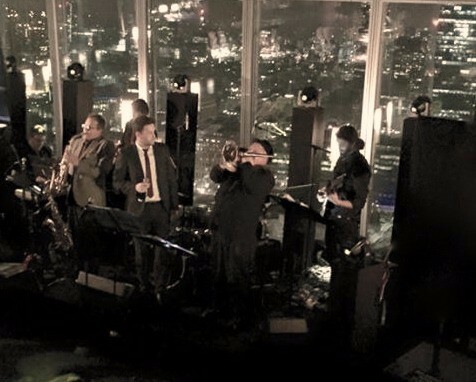 This amazing London Jazz Band has more parties under its belt than most. 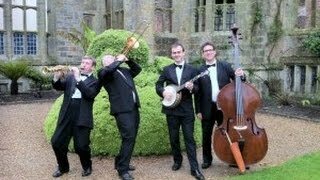 Check out brides video testimonial here and check out the band playing party classics with this link. We have great tried and trusted repertoire guaranteed to get party guests up on their feet. We mix it with some of the funkiest New Orleans sounds around. 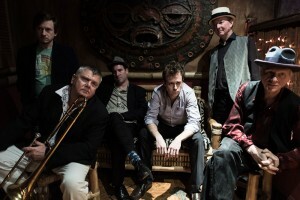 Book the Mississippi Swamp Dogs for an amazing, successful party and really great Jazz Band London hire. 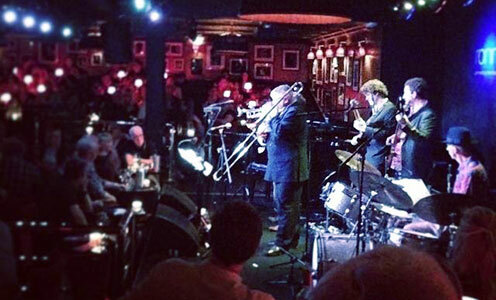 Why choose us for your jazz band in London? We don’t turn up late, however broken London is on a particular day! So for jazz bands for hire London look no further!